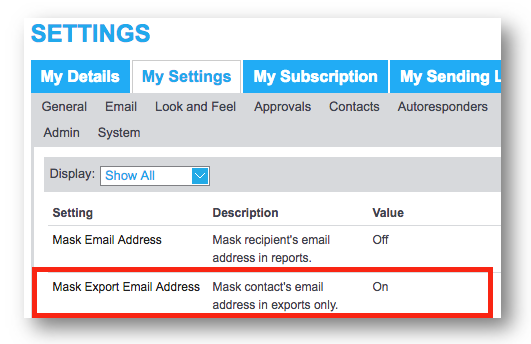 When exporting your contacts, you now have the option to mask the email addresses in the exported file. This is done by turning on the new "Mask Export Email Address" setting. Please note: This may need to be done by your administrator or account manager. The exported file then masks the email address.